BLUE NILE. 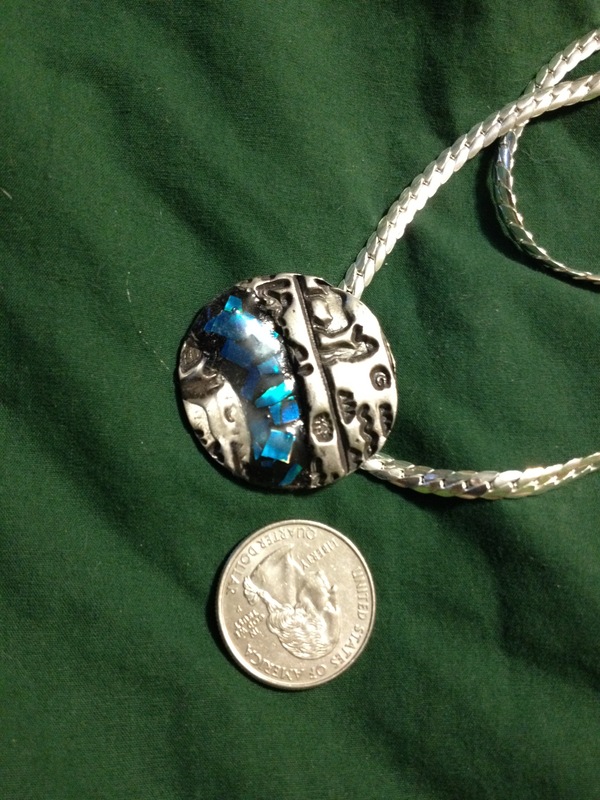 This pendant is made of fine silver, with a ‘Nile’ of acrylic, containing chips of paua shell, running through it. The heiroglyphics don’t really say anything — sorry. 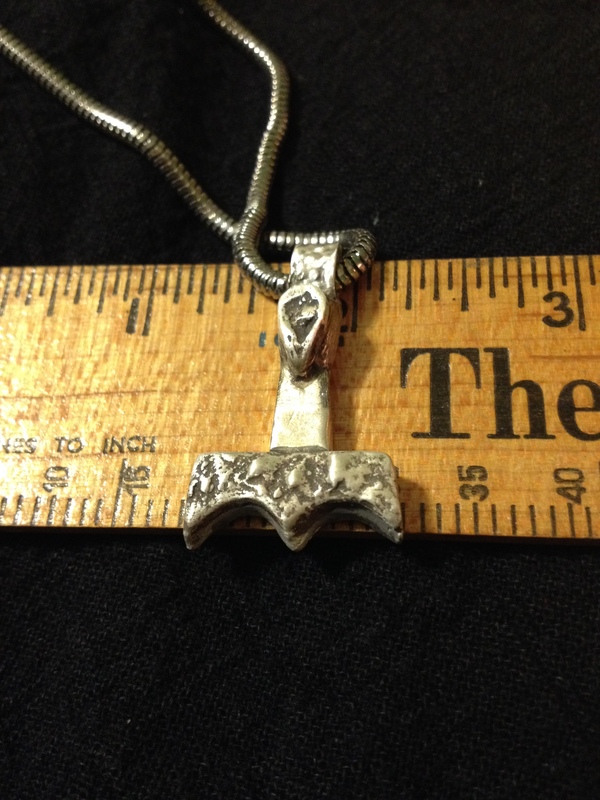 The coin is for scale. DUALITY. The ring, inspired by classical Greek art, features two carnelians. 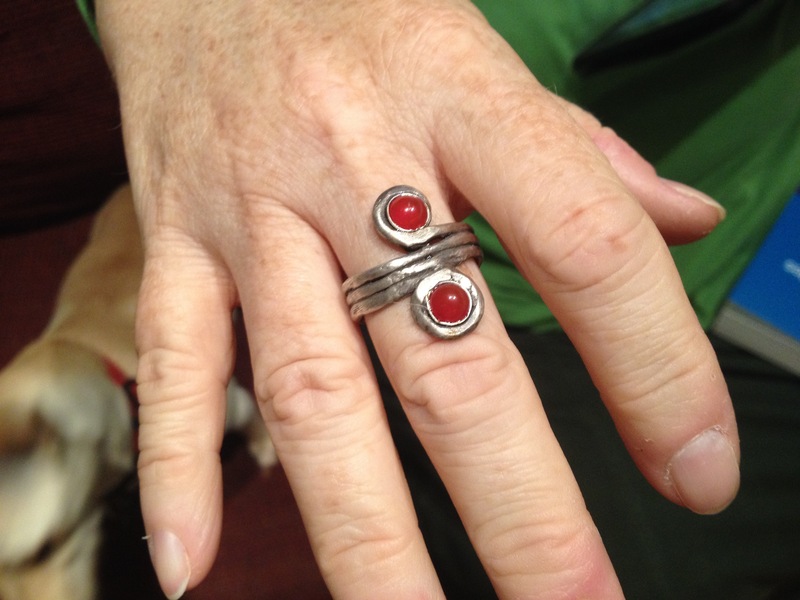 The silver band wraps around the finger three times before going off in opposite directions, where the stores are displayed. QUESTIONS. 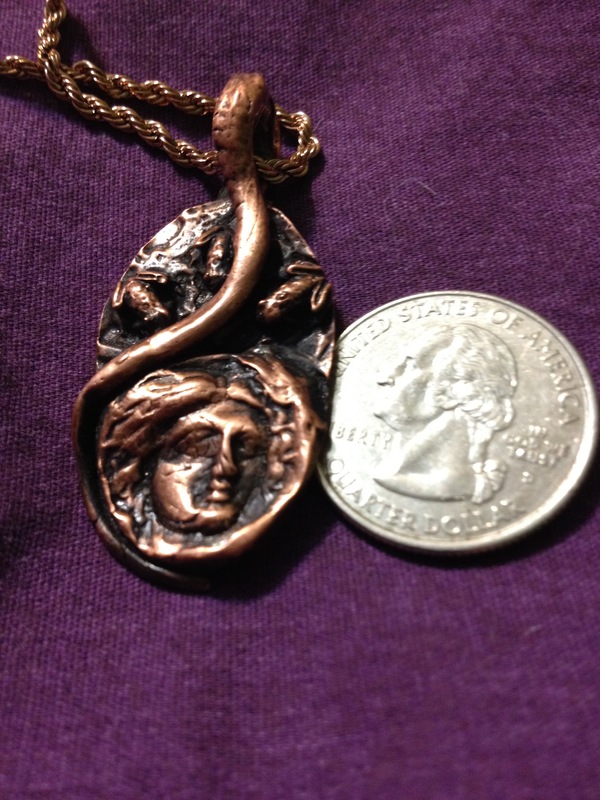 This copper pendant features the face of the Roman goddess Diana. Three frogs stare inquisitively at her, while a vine wraps around the entire scene. What are the frogs asking? It is not to be revealed. LIZARD HATCHES THE MOON. 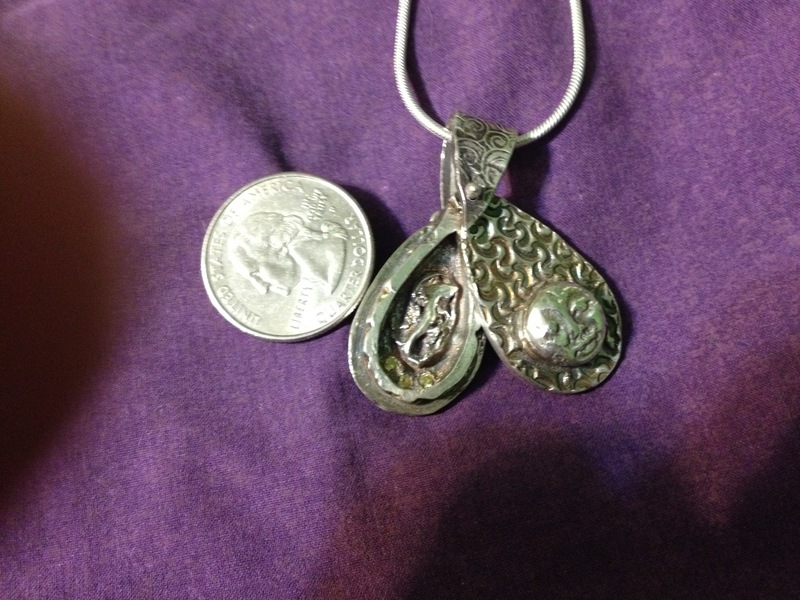 This hollow-form pendant bears a moon on its face and, inside, a lizard sits on a nest of cubic zirconia eggs. EYE OF THE FOREST. 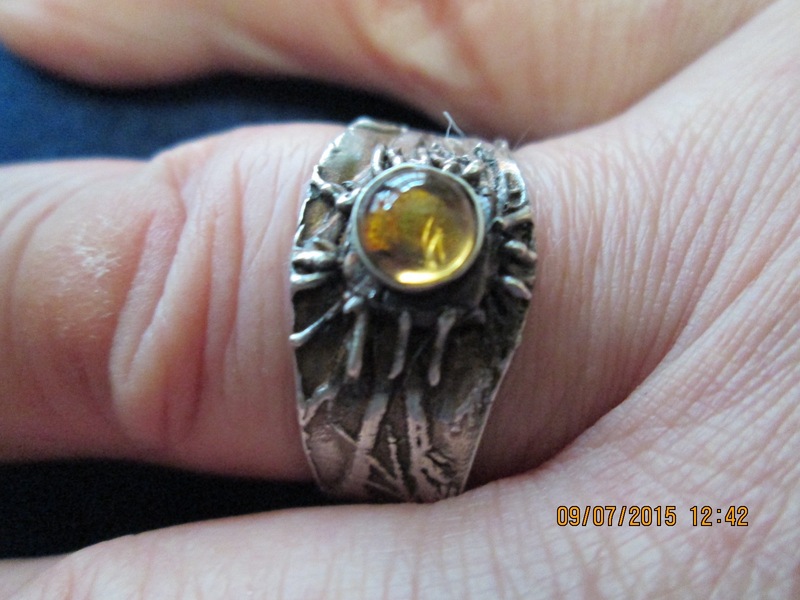 A citrine stone sits in the middle of this silver ring. The silver ridges represent the tangled roots of ancient trees.